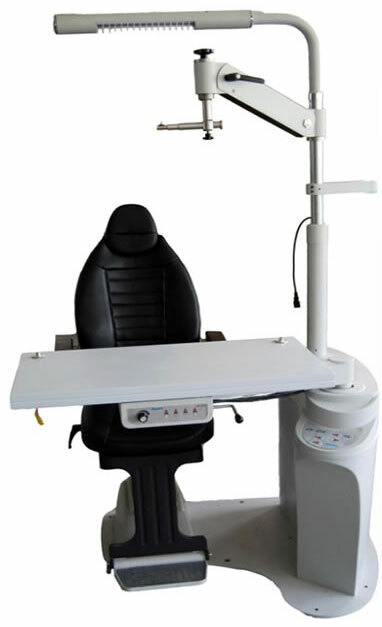 ophthalmic Chair and Stand Amadeus - Ophthalmic Equipment and instruments for the professional of today. Our Ophthalmic Chair and Stand Amadeus is one of a series of products designed to meet customers requirements. This high quality unit is solidly build and easy to use and maintain. It is wear resistant and corrosion proof. As one unit of a complete set of medical apparats for ophthalmology. It is an ideal choice for ophthalmologists and opticians not only in hospitals but also in optical glass shops. Are you done with the ophthalmic Chair and stand Amadeus ? Go to Chais and Stands.